Essential Microbiology Guide from C.H.I.P.S. The Practical Atlas for Bacterial Identification takes a fundamental approach, identifying bacteria by classification, family or genus names. 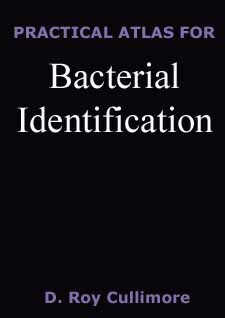 The bacteria are then placed on a graphic which will allow the reader to visualize and therefore understand the complex set of bacterial responses to laboratory identification methods. The book is organized into three parts. The first part is an introduction to some of the techniques which may be applicable to obtain a "pure" culture and then carry out the primary investigative tasks before attempting identification. The second part contains a series of tables which can be used to speciate bacteria from some major bacteria genera. The third and final chapter is an atlas of the diversity and commonality of some characteristics within various groups of bacteria.